Built for adventure, the 2018 Volkswagen Golf Alltrack was created to take you places you've never been to before. 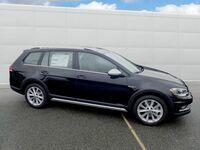 Available in three trims (S, SE, and SEL), the new Golf Alltrack comes with plenty of impressive optional features to keep you moving such as KESSY keyless access with push-button start, BLANK, and the VW Car-Net connectivity suite. Perhaps the most important feature of the new Golf Alltrack is its standard 4Motion® all-wheel drive system, which comes with Driving Mode Selection with Off-Road Mode to help you tackle the terrain and get the most from your adventures. 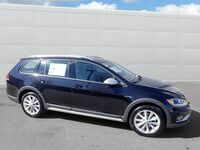 Take a look below as we explore the 2018 Volkswagen Golf Alltrack! Besides its tried-and-true 4Motion® all-wheel drive system, the new Golf Alltrack comes with a few more performance features that work together to really get the excitement going. Under the hood, you will find a 1.8-liter TSI engine that gets 170 horsepower at 4500 rpm paired with your choice of either a six-speed manual or six-speed DSG automatic transmission. 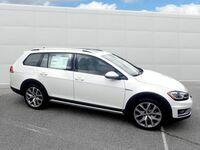 When fitted to the automatic transmission, the Golf Alltrack is able to reach an EPA-estimated fuel economy of 24 miles per gallon in the city and 32 miles per gallon on the highway. The Golf Alltrack is built upon the award-winning MQB chassis architecture, which works to make Volkswagen vehicles more aerodynamic without sacrificing on space. It doesn't get much better than a fully-loaded wagon! 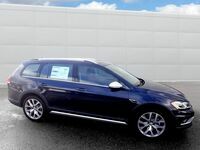 The Golf Alltrack SEL is completely stacked with all the amenities and smart technology you could dream of, such as a new 8-inch Discover Media touchscreen infotainment and navigation display, an Adaptive Front-lighting System, and front and rear Park Distance Control with Maneuver braking. 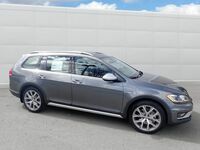 In addition to these tools that make every day driving easier, the Golf Alltrack SEL features a suite of standard driver assistance features, including Forward Collision Warning and Autonomous Emergency Braking and Pedestrian Monitoring, Adaptive Cruise Control, Lane Departure Warning, Parking Steering Assistant, and High Beam Control. Purchase your new Golf Alltrack in the middle of the year and get the addition of the Blind Spot Monitor with Rear Traffic Alert. Want to see the 2018 Volkswagen Golf Alltrack for yourself? 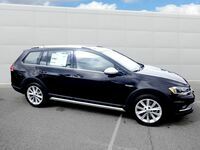 Then stop by Dirito Brothers Volkswagen for a test drive today!